Big Red! Another Classic #Sacktown Ride (PIC) | Sack-Vegas!!!! 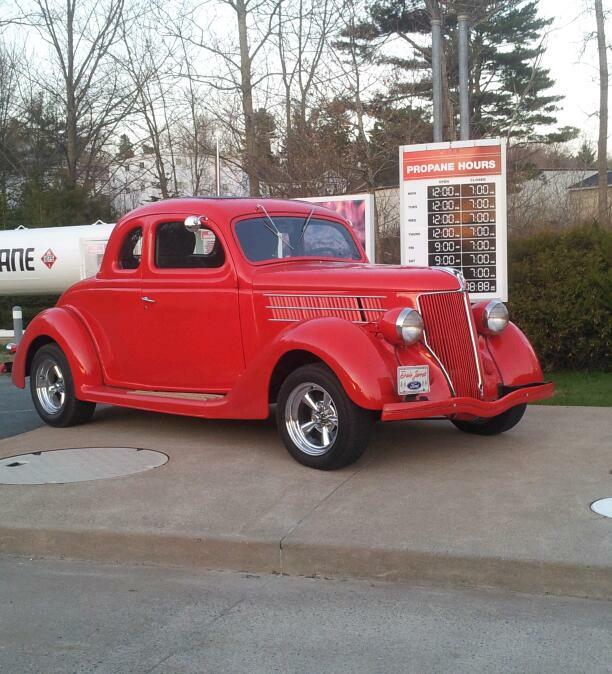 I seem to see a lot of classic cars down at my fave gas station (Canadian Tire). This old Ford is perched up on display. No for sale signs on it though. O.K. experts, what year and make is this thing? Posted by Sacky on May 6, 2013 in Rollin' In The 'Sack.